I can still vividly remember my first day as a college freshman. I was an impressionable sixteen-year old with no clue as to what to expect from university life. Despite the uncertainty, I knew deep inside that I was beginning to enter the doors of womanhood. 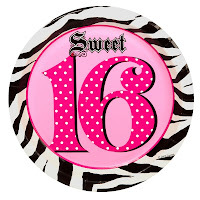 I wasn’t exactly an adult yet, as it was only weeks ago when I was looking around for sweet sixteen party themes for my birthday. But I felt that I was gradually being exposed to the harsh realities of life. I was cautiously flirting with the idea of adulthood at that time. Going to college made me realize that I was no longer the kid I used to be. I was slowly asserting my independence, simply because I had to. Circumstances led me to rely on myself as I trudged my way through early adulthood. Fast forward to today, I am a full grown woman with a better grasp of life and its intricacies - at least I think so! I have been through more trials than Kim Kardashian has had boyfriends. Those tests in life have toughened me up in ways I only thought imaginable. Now, I almost feel invincible, and that I can take on the world. Bring it on, I say!